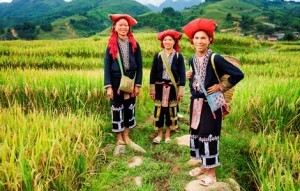 Discovery Travel Indochina Heritage Tour - Discovery Travel Discover South east Asia's most dynamic countries with this Indochina Heritage tour. From exploring the ruins of ancient Champa and Khmer empires to experiencing the buzz of rapidly progressing modern cities, touring these neighbouring countries reveals a diverse blend of old and new. Indochina Heritage Tour: Discover South east Asia’s most dynamic countries with this Indochina Heritage tour. From exploring the ruins of ancient Champa and Khmer empires to experiencing the buzz of rapidly progressing modern cities, touring these neighbouring countries reveals a diverse blend of old and new. Your journey begins in Phnom Penh where an insightful tour of the city’s National Museum and Royal Palace gives you an introduction to Cambodia’s history. Venture down the lively riverfront, lined with French colonial buildings, to the hilltop temple of Wat Phnom to watch the sun set. A short flight takes you to Siem Reap, the historical and religious heart of the country. Spend two days exploring the awe-inspiring Angkorian temples which remain from a time when Cambodia was one of the most powerful civilizations in the world. Continue to Ho Chi Minh City in Vietnam where the modern office buildings and brightly lit streets reflect the rapidly developing economy of this progressive country. 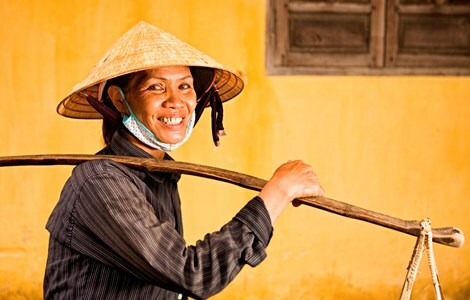 However as you tour the city, the deep rooted culture and traditions of the Vietnamese people unveils itself. Enjoy a day trip to the Mekong Delta and explore the hidden canals and unique floating markets of the region. Visit the quaint town of Hoi An, whose architecture reflects its history as a trading town and where the town’s streets are filled with family-run craft shops. Continuing up the coastline you reach Hue. Once the home of the imperial Nguyen dynasty, Hue is filled with towering monuments and crumbling edifices as well as a deep sense of tradition and culture. Your journey comes to an end in the country’s north. 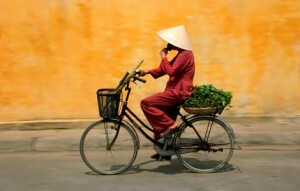 In Hanoi, the charming capital, take a city tour to discover tranquil lakes, insightful museums and bustling markets. 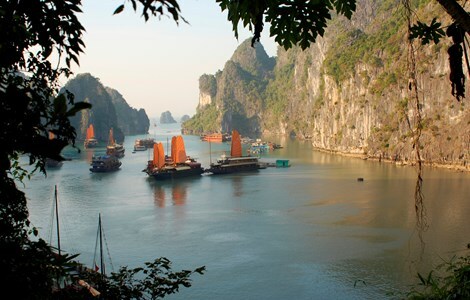 An overnight boat trip to Halong Bay is an ideal way to complete your holiday- cruising through the beautiful scenery in style while enjoying freshly caught seafood. From natural beauty to ancient wonders, this 12 day program shows you the true essence of Vietnam and Cambodia and its people. Welcome to Luang Prabang, the spiritual capital of Laos. Upon arrival, you will be greeted by your guide and transferred to your hotel. 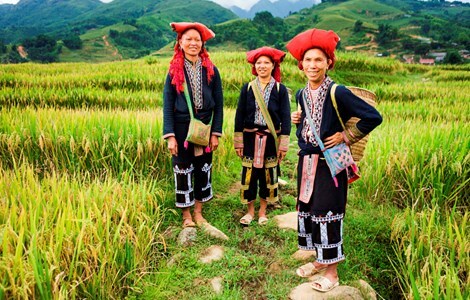 At the end of the day, climb the 328 steps to the top of Mount Phousi to enjoy a panoramic view of the city and the surrounding countryside and get back to your hotel by the evening hilltribe market where you may find plenty of local souvenirs to buy such as handicraft, textile. Start this morning with a visit to one of Lao’s most picturesque temples, Wat Xieng Thong. Located at the end of the peninsula, close to the Mekong River, this temple was erected in 1560 by King Setthathirat and is deeply revered by the Lao people. Walk to the boat pier, near the temple, to board the Nava Mekong, a beautiful wooden river boat for a cruise up the Mekong to the Pak Ou Caves(depart around 10.30). The journey takes around 2 hours and along the way you will be surrounded by spectacular views, pass by small villages on the river banks and witness fishermen out for their daily catch. Upon reaching Pak Ou, disembark to explore the caves. Here you will see thousands of gold lacquered Buddha statues crammed into two caves carved out of a towering limestone cliff. The statues range in size from a few centimetres tall to the size of a human, and the view from the mouth of the cave provides sweeping views of the Mekong and Nam Ou rivers. The caves are as well a destination for local pilgrimages, especially during the Lao New Year period of Pii Mai. Back onboard the Nava Mekong, you will cruise around the waters to a quiet location set amid limestone cliffs where the boat will moor for lunch. A selection of freshly prepared Lao dishes will be served before returning downstream to Luang Prabang. This afternoon, you will have a chance to learn more about this culturally rich and history city with a guided tour. The city tour begins with a visit to the former Royal Palace, now the National Museum, where you will explore the history of Laos. Continue on foot to Wat Mai, a temple renowned for its golden bas-relief, and Wat Sensoukarahm, which features a beautiful dazzling golden façade. OPTION: One of the highlights of a visit to Luang Prabang is a performance of the Royal Ballet Theater. Founded in 2002 in cooperation with the Institute of Cultural Research, the Ballet aims to preserve Laos’ cultural heritage. This evening, enjoy a spectacular performance which includes scenes from the Lao-Ramayana, traditional folk dances and tribal dances. The show begins at 6:00pm on Mondays, Wednesdays, and Saturdays. Attention: subject to change without prior notice from the company. Depending on your flight schedule, there may be time to visit the Heritage Information Center. Here you will learn about the methods being used to preserve the unique heritage and culture of Luang Prabang as well as gain further understanding in to the importance of developing sustainable and community-based preservation projects. Upon arrival in Vientiane, set off to enjoy a guided tour to discover the hidden charms of Vientiane, whose name means ‘the city of sandal wood’. Vientiane is one of the quietest capitals in the world, far away from the bustle and hustle of other Asian capitals and far from the real-estate frenzy of the regional megalopolis. Then, continue your tour with a visit to the Patuxay monument, Laos’ version of the Arc de Triomphe, where you can climb the stairs to the roof for sweeping panoramic views of the city. Next, your tour takes you to That Luang, the holiest site in Laos. Constructed by King Setthethirat in the 16th century, the temple is resplendent as the sun is shines upon its towering golden spire. Your guide will pick you up at your hotel in Vientiane at 0800. Set off on the road to the Thai-Laos border to Buddha Park (app. 25 kilometers from the city center). Also known as Xieng Khuan, this unusual park is filled with over 200 Buddhist and Hindu statues. The quiet and tranquil setting along the Mekong River is a contrast to the slightly eccentric sculptures which were built in 1958 by a Laos shaman. Vientiane – Hanoi QV 102, 1430-1550, subject to change without prior notice from the airline. Arrive in Hanoi, welcome by your guide and transfer to hotel. The rest of the day is at your leisure. The capital of Vietnam, a city that celebrated 1,000 years in 2010 has countless fascinating cultural and historic sites. 0830 depart your hotel for the Temple of Literature. In 1076 Quoc Tu Giam – Vietnam’s first university, also referred to as Van Mieu, was established within a temple to educate Vietnam’s royalty, mandarins and members of the elite. The university functioned for an incredible 700 years and its gardens and well-preserved architecture offer a fascinating glimpse into Vietnam’s past. The One Pillar Pagoda, founded by King Ly Thai To in 1049 will be visited next. This structure is one of Vietnam’s most iconic temples. Close by is the mausoleum of the historic figure and father of modern Vietnam, Ho Chi Minh (viewed from outside; closed Mon and Fri and from Oct-Nov) and the former presidents house on stilts where he lived from 1958 to 1969, his former home illustrates the modesty of this Vietnamese revolutionary. In the afternoon visit the fascinating Ethnology Museum (closed Mondays), which is both a research centre and a public museum exhibiting the ethnic groups of Vietnam. As an alternative to the Ethnology Museum, visit the highly acclaimed Vietnam Women’s Museum (closed on Mondays).The museum is located near Hoan Kiem Lake and offers wonderful insight into the lives of Vietnamese women. Displays highlight Vietnam’s vast cultural diversity and educate on the significant role Vietnamese women play in Vietnamese society. Learn historic and modern-day traditions centered around births, weddings, motherhood, spirituality and more. At the end of the afternoon visit Hanoi’s Old Quarter also known as the ‘36 streets’. Take a walking tour through charming Hang Be Market and around Hoan Kiem Lake. This bustling area of narrow streets and alleys is home to literally thousands of small businesses and shopkeepers. It’s a great place to explore with plenty of photo opportunities all around you. Evening at leisure. Overnight in Hanoi. This morning depart to Hanoi’s Noi Bai Airport for the short flight to Danang City. On arrival your private vehicle will be waiting for you for the 40-minute drive to Hoi An. A destination with two faces – the charming, old-world trading port of narrow streets and traditional houses, and the beach with its new resorts and long stretch of clean white sand. In keeping with Hoi An’s heritage as a trading port, the town’s tiny shop houses now host a range of craft shops and artisans including some of Asia’s best bespoke tailors. Despite the passing of 200 years and the ravages of weather and war, the centre of Hoi An remains much the same as it was in its heyday. Take a walking tour of the ancient town centre to visit former merchants’ houses, the 400 year-old Japanese Covered Bridge, a Chinese communal hall and the colorful market. Have this morning at leisure before leaving Hoi An for Hue, the former imperial capital of Vietnam. It’s mesmerizing tombs and mausoleums of the last emperors of Vietnam reveal fascinating insights into the lives of the imperial families and their subjects. The ancient citadel reflects the pomp and ceremony of the dynastic rulers as well as the scars of many years of turmoil, both ancient and modern (the Royal Citadel was badly damaged in the latter stages of the war) but retains a sense of grace and majesty even today. 0830 depart from your hotel in Hue. Start at the Imperial Citadel where the Nguyen Dynasty ruled between 1802 and 1945. Continue to visit Thien Mu (Celestial Lady) Pagoda overlooking the Perfume River; constructed in 1601 the 21-meter tall tower is the centerpiece of the pagoda and represents seven reincarnations of Buddha. In the grounds of the pagoda is the Austin car made famous when in 1963, a resident monk drove the vehicle to what was then Saigon to protest against the southern regime, the photo of his self immortalization was captured and was one of the most well known images of the war. In the afternoon see the tomb of the former emperor Minh Mang which is located in a tranquil setting of gardens and ponds. Finish up the day at the Mausoleum of Tu Duc, built decades before its occupant’s death the tomb was used as a palace retreat before the emperors resting place. Transfer to Hue Airport after breakfast for the short flight to dynamic Ho Chi Minh City, still called Saigon by the locals. Take a full day tour of Ho Chi Minh City. Your program includes the Reunification Hall, formerly known as the Presidential Palace it was towards this modern building that North Vietnamese tanks seized on the morning of April 30 1975, as Saigon fell. This fascinating building is filled with history still fresh in the minds of many. From there stroll (your vehicle will be available at all times) to the major sights of colonial Ho Chi Minh City: the Old Saigon Post Office, Dong Khoi Street (formerly Rue Catinat), Continental Hotel, Opera House and City Hall. After this historical visit continue to the War Remnants Museum where exhibition halls display imagery of both the French and ‘American’ wars. Continue to the Jade Emperor Pagoda located on the fringes of district 1. Dating from 1909 and built by Cantonese Buddhists this quiet oasis was designed using feng shui principals showcasing ornate statues and effigies. Following your tour head back to your hotel. The colourful floating market, vast emerald rice fields and lush back waterways; these are the things that make Cai Be such a desired destination. This morning, leave bustling Ho Chi Minh for the 2-hour drive to the delta town of Cai Be. On arrival board your boat for a cruise of Cai Be floating market. Traders work the river and some have been living on these waters for generations. Produce at the market are hung on a pole in front of boats to attract customers and make it easier for people to see from afar what is on offer. After visiting the market continue to a cottage factory where ‘pop-rice’, rice paper and coconut candies are made. Return to the boat for the cruise to Dong Hoa Hiep Island, along the way admire the scenery and the daily life of the local villagers. Lunch will be local Mekong style serving specialties of the area. Following your cruise drive back to Ho Chi Minh City. Located in suburban Ho Chi Minh City away from the well trodden tourist path, this is not just a cooking class but a genuine insight into a Vietnamese kitchen. Start early from your hotel for a local suburban Ho Chi Minh City market (whilst it’s still busy) with your host, to shop for ingredients, all at a leisurely pace. You’ll then head back to the house to start your cooking, where you’ll eventually devour the results for lunch! Your host is a great cook and more than happy to show you around their local market and share some of their favourite dishes. A selection of dishes can be made from a menu, rather than having a set cooking class menu see what tickles your fancy. After your lunch return to the centre of Ho Chi Minh City. Return to Ho Chi Minh City for flight to Siem Reap, the ancient capital of the Khmer empire (Flight VN829 16:30-17:30 subject to change without prior notice from the airlines). Arrive in Siem Reap, welcome by your guide and transfer to hotel. The rest of the day is at your leisure. Enjoy a delicious Khmer welcome dinner at The Sugar Palm. A morning tour of the temples starts at the South Gate of Angkor Thom. Angkor Thom was the last capital of the Khmer empire and its massive 8 meter high walls surround an area filled with temples. Set in the center of this area is Bayon, whose massive towers are carved with enigmatic faces. Return to the hotel for some time at leisure during the hottest time of the day. End your day with a tour to the temples of the Small Circuit by local tuk tuk tuk ‘remork’ (similar to the Thai tuk tuk). The most illustrious of these is Ta Prohm, built in the mid 12th to early 13th centuries. Ta Prohm is unique in that it has been left largely as it was found: overgrown by jungle trees and vines, with many parts of the temple crumbling to the ground. This makes the ‘Tomb Raider Temple’ one of the most picturesque and memorable of the Angkor temples. Your visit will also include Banteay Kdei, a Buddhist monastery from the late 12th Century, and Srah Srang, also known as the “pool of ablutions”. This morning, head out to the countryside to see the “gem” of the Angkor area, the pretty temple of Banteay Srei. The so-called “Citadel of the Women” remains the best preserved temple in Cambodia. It displays some of the finest examples of classical Khmer art as this small temple is noted for its truly remarkable fine bas-reliefs. Banteay Srei is unique in that it is constructed of pink sandstone, which is seen nowhere else in Angkor. Continue north to Kbal Spean, one of the earliest Hindu pilgrimage sites in Cambodia. A short 3 km trek up the hill through dense jungle will reward you with excellent views over the plains and the Kulen hills. At the top, be surprised about the “River of 1000 Lingas” with some remarkable stone carvings of Hindu gods, animals and other symbols in the river bed. During the rainy season, you can enjoy a refreshing bath in the waterfall, which is extremely popular with the local families. On the way back to Siem Reap, stop at the Landmine Museum which promotes mine awareness. Mr. Aki Ra, the museum founder, was trained as a child soldier during the Khmer Rouge regime and is working today as a de-miner. The museum serves also as a rescue center for a number of landmine amputee children that Aki Ra has brought off Phnom Penh’s streets or from impoverished rural communities. End your day at Angkor Wat and explore the intricate carvings and passageways of this 12th century temple. Built during the reign of King Suryavarman II in the early 12th century, Angkor Wat is constructed following the model of the temple mountain symbolizing Mount Meru, the home of the gods. Inside the temple, the walls are covered with stone carvings and bas-reliefs depicting Hindu mythology and the wars Suryavarman II fought during his reign. Angkor Wat is well known for the more than 2,000 Apsara dancers decorating the temple. Construction is thought to have taken around thirty years of intensive labor. Today, Angkor Wat is figured on Cambodia’s national flag as the temple symbolizes the soul of the Khmer people. You will be there during sunset time, when Angkor Wat is less visited and the Apsaras will shine in the most beautiful light. On your last day in Siem Reap, embark on an interesting boat trip on the Tonlé Sap Lake, where you will have the opportunity to learn about life on the lake. Tonlé Sap is South East Asia’s largest freshwater lake with its size varying greatly depending on the season, as it is swelling to about four times it size during the wet season. Board a local boat and visit Kampong Phluck, a village where you will see houses on stilts that are submerged when Tonlé Sap Lake extends. 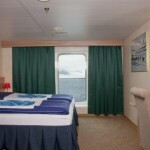 On the way, you will pass floating houses and impressive flooded forests, portraying life on the water. 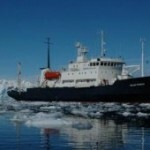 (Note: Due to low water levels during the dry season, the boat trip is only possible from June to March. However an alternative floating village at Chong Kneas can be arranged instead). Visit the workshops of Artisans d’Angkor where traditional techniques like wood and stone carving are being taught to locals. Your tour ends with a transfer to the airport for your onward flight. Indochina Heritage Tour: Rates vary frequently. Please contact us to get the best possible price based upon your travel period and specific touring needs, private basis not join in, please inquire for pricing which varies depending on accommodation standards.